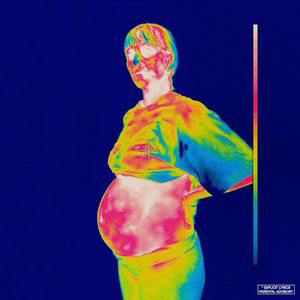 Provided by Genius.com Brockhampton released their fifth album, “iridescence,” on Sept. 21 by RCA Records. This Friday saw the release of “iridescence,” the fifth studio release from hip-hop boy band Brockhampton. This record is their first since the departure of core member Ameer Vann, who was removed from the group after several people came forward detailing abuse in Vann’s relationships prior to his joining the group. Following this shift in dynamic, many speculated how the group would adapt and who would need to take a larger role in the group in order to fill this vacancy. “iridescence” seems to address most of these concerns, all in a 48-minute whirlwind of grimy industrial synths, lush orchestration and breakneck rap flows. This record can best be understood by looking into the way Brockhampton intentionally juxtaposes sounds and ideas. This dichotomy is present straight from the jump in the first two tracks of the album. “iridescence” opens with the rap barrage of “NEW ORLEANS,” featuring a sporadic collection of rap flows from members Joba and Dom McLennon, demonstrative of the group members’ technical prowess as emcees. However, the second track, “THUG LIFE,” transitions seamlessly into a mellow and atmospheric ambiance. Bearface delivers crooning vocals over layers of pitch-shifted vocal melodies, collaging perfectly and making the two tracks a succinct package. This dichotomy between noisy and melodic moments is present throughout the whole record, as it is not uncommon for songs to have drastic shifts in tone across even a single three-minute track. Brockhampton has never shied away from challenging their listeners with unconventional and noisy beats, but this record marks a further venture into industrial-sounding instrumentals. This experiment is resoundingly successful for them, as off-kilter percussion and muddy synthesizers seem to tap into a visceral instinct for many of the group members. Joba delivers a verse on album highlight “J’OUVERT” that sees him screaming and tapping into an upper register that is purely primal and deeply cathartic. Later, a mariachi horn section sharply transitions the song, as Merlyn Woods cartoonishly decries, “I be in my bag.” “J’OUVERT” is clear evidence of the rollercoaster of ideas this record has to offer. The opening to “HONEY” features a funky synth line that feels like an updated version of a “FutureSex/LoveSounds” instrumental, as Dom delivers a slick verse that rides the groove of the instrumental flawlessly. The trap-Frankenstein of “VIVID” has a moody Matt Champion shouting out Odell Beckham Jr. and exercising some Spanish over an alarm-sounding synth, finding a comfortable rhythmic pocket over the mechanical instrumental. These tracks, as well as the other more rap-oriented tracks on the album, help contribute to the industrial sonic pallet of “iridescence.” In addition, all the promotional images for the album feature thermal mapping of the group’s members, suggesting that industrial distortion plays a central role in “iridescence”’s aesthetic. However, Brockhampton pushes boundaries in the opposite direction, as their pop-driven moments reach tangible mainstream accessibility. “SAN MARCOS” is an angsty guitar ballad, culminating in a true “put your lighters up” chorus at the end; it’s a track that undoubtedly reminds the audience of Brockhampton’s One Direction influence. “WEIGHT” is a heartfelt confessional from the group’s leader Kevin Abstract as he discusses confronting his sexuality and trying to come to terms with his identity over gorgeously lush orchestration. “TONYA” is possibly Brockhampton’s most emotional track to date, as the group therapy session sees each member confronting their anxieties and reflecting on how much they’ve accomplished in the past year. The group performed “TONYA” on “The Tonight Show,” indicating the song has significant importance for the group’s members. These moments on the record show the group’s versatility, but can sometimes make the overall aesthetic of the album less focused. Overall, though, “iridescence” has a lot to offer. Members like Joba, Bearface and Dom McLennon take on more significant roles, forging a new group dynamic amid a turbulent era for “America’s Favorite Boy Band.” “iridescence” is ultimately a charged document of the group’s progression through fame. Although it is at times unfocused, the project will leave many fans of hip-hop and pop decidedly impressed.